It's kind of sad that in all this time, I haven't dedicated a thorough post to my beloved Midori Traveler's Passport, the first one I got (hence the title). I've had it for almost three years now, yet I must admit I didn't use it as much as I would have liked. It was only before our incredible trip to Japan last year that I really got into it, as I brought it with me. But that's a long story for another occasion! Two weeks ago, I switched from my large Midori Traveler's notebook to the Passport one because of portability, as most of my bags are small and the larger one takes too much space inside them. I've inserted one of my own refills (21Kittens), the one with the graph paper. Then there's the plastic envelope insert to keep loose papers and other stuffs safe. I have noticed that even though I also carry my Field Notes with me, I am gravitating more towards the Midori. During this time the leather has become simply gorgeous. I keep holding it in my hand due to how nice it feels! Anyway, just wanted to share that tonight before I go to sleep. Filofaxes for Sale on eBay! Ok, so after much debating I have decided to put my Filofaxes for auction on eBay. I might be adding a couple more besides the Pocket Tecnic and the Personal Kendal. If you haven't read it already, I am selling a couple of my Filofaxes. The reason is I'm not using them, and it would be best to give them a loving home. This one is a bit of a rarity I believe, as I haven't seen it anywhere else. I myself got it at a thrift store in London. I believe it is from around 2003. It is in a brand-new condition. I myself have never used it, just got it for collection purposes. But knowing that there are true Filofax collectors out there, this planner should be with them. We all know this one and it is a favourite of ours due to the beautiful and oh so durable leather, not to mention the two penloops! I have to confess that I've only done beading twice in my life. One was about ten years ago when a friend who was into it, took me to a bead shop. I got some ceramic beads and made myself a slightly boring necklace. I rarely wore it. The second time was now. For some reason I've never really been attracted to it, but as of late, I find myself looking forward to browsing the huge selection of beads and charms at the various crafting stores I find in this city. They turned out nice, don't you think? So, last night I was fixing the links to my images on old posts, and for some reason (I'm sure a mistake by my part), I set an old post about my Sidekick notebook to be re-published or moved to yesterday's date! And there doesn't seem a way to revert it back to the past. Anyway, I'm sorry you had to re-read an old post. I am still tinkering with my blog, so please excuse me if it appears broken or disorganised at times. For nearly two years now, I have been using a notebook for everything. I call it my sidekick, as it tends to follow me around the house. I use it for writing down my daily To Do list, things I've bought, recipes I want to try, doodling, sketching, scrapbooking. Like I said, everything. I find it pretty handy, as I don't have that much space in my planner especially since I moved away from ring bound planners. Of course, in almost two years of use, my sidekick has reincarnated in 5 notebooks already, being the current one my dear orange Rhodia Webbie, which is now nearing its end with only four pages left, including the ones I'll use today. I am torn though, regarding which notebook to use next. Should I go once again for another A5 notebook, quite likely Rhodia? Or should I go back to my gorgeous, leather Midori Traveler's Notebook? See, the A5 notebook has worked really well before. The hard and sturdy covers make it possible for me to use it anywhere without having to worry too much about getting it dirty. I write down recipes in it, which means I use it in the kitchen as well, getting the pages quite soiled at times! And because I very rarely take it out, the fact that it is an A5 is not an issue at all; rather, it is an advantage, having all that space for my drawings and doodles. As for the Midori, I did use it as my sidekick for a while, but found that its size was actually hindering me from using it on a daily basis ( I didn't have enough space for drawings), as well as the soft cover (very hard to write or draw for long when you're lying it against your knees - another thing I do a lot!). Which is why after I filled up my second refill, I quickly started using my Webbie. But now that I am about to fill this notebook, I don't know what to do. On one hand, I want to just continue using an A5 notebook. 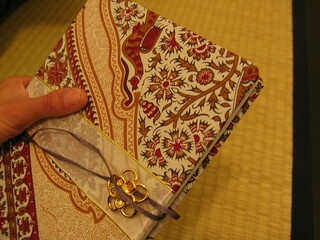 Yet on the other, I really want to use more my Midori, because it is so beautiful. Currently I am using my TN with an insert I made myself for my blogging activities, and I am really enjoying it! So yeah, I am still very undecided about which one to use next. I guess I will take that decision once I am on the last page of my beloved Rhodia, and I will keep you posted! I know I've been neglecting my blog, not writing, not updating the links to my pictures (which are now living happily after at ipernity), etc etc. So I thought that since I'm feeling a bit inspired tonight, it would be a good time to let you know what I've been up to all this time. Those of you who visit my etsy store regularly, might have seen that I've been, slowly but steadily, adding more items to my shop. For those of you who are now discovering this blog, I am in love with stationery, and making notebooks is one of my favourite hobbies. For a while now I have been focusing mainly on making refills for Midori's Traveler's Notebooks, both the large and the Passport size. 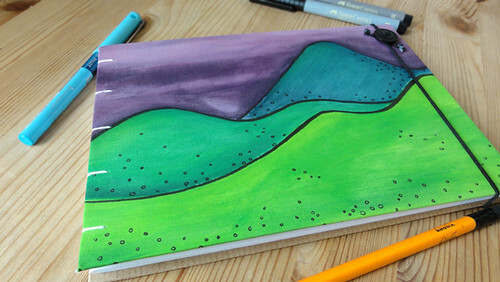 I really enjoy trying out different kinds of paper, paper that is hard to get, and coming up with cover designs and colours that will set your notebook apart. But notebooks aren't the only thing I enjoy. 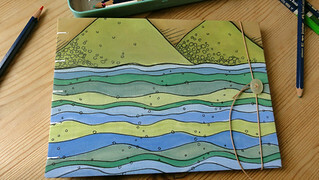 I'm also designing blog headers and etsy banners. As a matter of fact, this month I was commissioned by Meredith to design the header for her blog The Palette Muse. Meredith told me she really liked my handpainted Sakura header, but instead of the pink hues and cherry blossoms, she wanted it in blue and with dandelions. 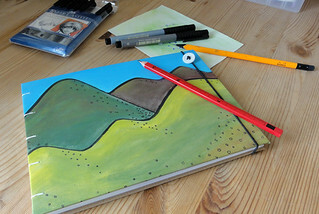 The end result is an exclusive watercolour header that she really likes, and that I really enjoyed painting. What's happened to my pictures? I thought I should write a quick update and let you know why you're not being able to view my pictures at the moment. After much ruminating, I finally took the big decision to leave Flickr, as I wasn't happy with the service anymore (will blog about it at a later time). Like many unhappy Flickr users, I've also emigrated to Ipernity, which has an interface very much like the 'old' Flickr used to have. I have transferred all (except some that were lost during transition, yet another story) my photos there. This means that I will have to manually edit the url of every single image on here that was hosted in the old site. Since this process might take a while, I'm not sure when all images will be restored. Although I really love my Mark's Tokyo Edge planner, with its lush paper and its awesome and stylish colour, I've been left feeling a bit unsatisfied as of late. I miss the Moleskine week with notes layout because of the extra space I had for notes and doodles. As a matter of fact, before I got the Mark's I was going to get another 18 month planner because I felt it had worked quite well last time. But of course, the allure of trying a new, Japanese planner in lime green was too hard to resist. And although I do like the weekly layout in columns, I've grudgingly had to accept that the day columns just aren't wide enough for me. I really hate not finishing a planner, switching to a new one at a random date, especially when we're only in April. So I considered trying a Filofax with planner inserts designed by me. I could just create inserts for April, see how it goes. If I like it, and don't mind using the Filofax, I can stick with it for a month, while at the same time still using the Mark's as a backup, in case the Filo doesn't work. Once the month is up I can either create more inserts or go back to my Japanese. This past weekend, perfect as it was the start of the month, I designed the inserts with the mole's layout in mind, made the paper size bigger for more space. The day spaces are the same in height, but narrower due to the smaller page size and the spacing for the rings. The weekend slot is shared, I personally don't mind that as I don't need more space. I have started using it last Monday (1st of April) and am only carrying this month's inserts and a few lined pages for notes. It makes the Filo quite thin. I am also being good and updating it every day, writing down my daily tasks and future appointments. So far it's going well. I honestly can't remember how I managed to use a Filofax a few years back without any problem, maybe because the day spaces were much bigger, it wasn't such an issue, or the fact that it was always quite fat, made the rings less protruding? If the latter is the case, I will try adding extra inserts and see how it goes. I will keep you all updated on how this little tryout is going next week. So I caved in and bought yet another notebook! Sure, if I were using all the ones I currently own, that would be ok (I guess), but at the moment I am only using my Midori Traveler's Notebook with two of my own refills. I also use a Field Notes which lives inside my bag. I decided to get it in the colour I've been very into for the past few years: Lime Green. My Mark's planner is also lime green, as well as my beloved Vert Pre ink from J.Herbin and the new fountain pen I got last month. Upon opening it, I was greeted by two small pieces of paper: a catalogue booklet with more products and the company's history, and a Thank You card, something I really appreciate. Inside the back pocket there was another surprise in the form of four label stickers, a couple for the front and the other two for the spine for archiving. Such a cool detail! An index page and numbered pages, not to mention the good quality of the paper. Mine has got the dot grid, which I find perfect for writing and sketching. I still haven't used it, and honestly, I should be banned from getting new notebooks as I already have quite a few which are unused, waiting silently for their turn to come. But it was just sooooo pretty and I simply couldn't resist! Have any of you used a Leuchtturm before? How do you like them? I know, I know, I haven't been able to be constant with my writing here. I guess I was just busy doing other stuff, but mostly, not doing much at all (and believe me, that takes time!). I thought I should at least let you know that I'm currently working on more 21Kittens projects (which will be revealed once they're ready), that are not just notebooks. I am not being able to be constant though, because I am once again moving house. So yes, I am slowly starting to be surrounded by boxes and bags as we speak. Stationery-wise, the situation is a bit chaotic. I am trying to use my planner as much as possible, and I am starting to notice where its faults are. I guess I can elaborate more on this on Monday's post. (I have jotted down a reminder of this in my planner right now!) See? I am trying. I have been plagued by doubts about continuing with the Midori. Or, having just one sidekick. Honestly, the thoughts inside my head are so jumbled up, that I can't really explain with words all those thought processes going on. And lastly, this winter is really getting to me. It's lasting forever!! Argh!! This is Oni, signing off for now. I am sorry for not having written anything for nearly two weeks, I have been with a serious case of writer's block, which I am now trying to break by posting this entry now. 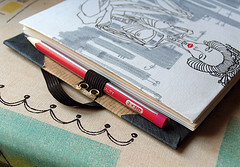 It is an idea I have had for a while now, ever since I saw Muji's Chronotebook online (sadly discontinued). At first, I thought of making my own Filofax refills, but because I was so enamoured with my Filo and its own system, I knew I would not use them. So the idea got shelved. A few years later, I was reminded of the dial system when I saw the Chronodex, created by Patrick Ng. He even made a downloadable version compatible with the Midori TN, which has a very cool design! I used his system on a few occasions when I needed extra help with organising my tasks, and I must say it came in quite handy and helped me get things done! I must say though, that the only thing that doesn't quite work for me, is that only one dial is used to represent a whole day. The area alloted from 9 to 11 (both am and pm) get very crowded and confusing. Recently, I started using the dial system again as a back up for my planner, to help me achieve tasks on busy days. It has worked wonderfully! Especially on really long days where I need to use two dials to separate my morning from my afternoon. I have found that the dial system comes in handy when I've got a very busy days and can't get my head organised, like when there are so many things to do that you don't know where to start. I will normally start by writing down the most immediate task at hand (shower, breakfast) and then the most important of the day (meeting, appointment, etc). Once these events have been written down, I am able to get a clear overview of the day, thus allowing me to allocate the rest of the things around them (laundry, post office, lunch, bank, etc). If I need to remember other stuff, I will simply make a note of it next or below the dial. This keeps my day view neat and uncluttered. And because it is a great tool to use during specific periods, (exams, house moves, multiple projects), I included Start and Finish slots in the title page so you can write down when the notebook was used. Size-wise, it is about the size of a Field Notes memo, making it quite convenient to carry with your planner or Filo, so you don't have to replace your planner. Here is where you can find it. For now it is only available in notebook(bound) form, but if you would like me to make some refills for your Filofax, I'd be glad to do it. Just leave me a comment or a convo on my etsy store. Sometimes a system that was once infallible, will stop working. Just like life, I guess. When I used my Filofax, I had a separate section dedicated to my To Do lists. It was a glorious time for I was able to tick around 98% of the items listed in a timely fashion. After a while though, I would forget to check that section, which resulted in many tasks not done. So I resorted to writing them on the day spaces of my diary section. This was probably the method that best worked, as I would see each day what had to be done. But that also stopped working, or should I say, I slowly grew undisciplined that I stopped doing them, and eventually I even stopped writing them down. For what seems to me an eternity I allowed myself to slack. I only pencilled in very important tasks, such as paying the rent and house bills. The other stuff I would just remember to do them - and DO them that moment, or as soon as I re-remembered them. It was chaos. The house started to get messier, I stopped planning my stationery projects, lost contact with online peeps. I knew I had to tackle this, but wasn't sure how. So I took the 'one step at a time' approach. In my sidekick notebook, I would write down a couple of things or chores I had to do, and really work towards getting them done. Slowly, slowly, I started to feel more encouraged to do those tasks, and without even noticing, I'd be adding more items to the list. Now I suddenly find myself wanting to prepare my list the day before. Yet I find myself undecided as to how to do this! Should I write them on my daily spaces inside my planner? Or inside my sidekick notebook? Planner: I might not check it daily, and thus not get things done. Sidekick: the tiny OCD part in my brain doesn't allow me to use it for future stuff. Every day I start by writing the date and then listing what I have or want to do on the day. Not tomorrow, not next week. If I haven't done all the day's tasks, I write an X next to them, and they are added to my list on the next day. But I think the main reason I don't prepare my list the day before is because I do not want to be overwhelmed by the stuff I need to do. Huh? What do you know! I think I just answered my own question! I guess I'll just keep with my current system for a while. This past Xmas my sister in law and her husband gave me a really cool present: a Travelogue. It is a beautiful box set in cardboard containing 8 map pages on one side and a complete travel journal on the other. The maps show the following world regions: Africa, Australasia, Eastern Eurasia, Europe, North America 1, North America 2, South America and Western Eurasia. The fun thing about these maps though, is that you can scratch the top layer off to reveal the countries you've visited in a particular region. There is also a handy checklist printed on the left side of the box set to keep track of the regions visited. 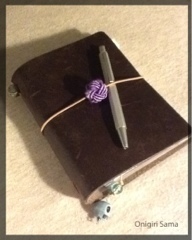 The right side of this set contains the travel journal. The first page contains 'My Details', to fill in with pertinent info about you. The next section is called 'Planning', where you can write down your itineraries in handy, easy to read boxes and notes section. After the checklist, there is a whole spread to plan your budgets. Then comes the 'Diary' section, where you can write about your travels, paste mementos, photos, etc., and jot down your expenses. It also contains a handy contacts section for you to keep in touch with all the nice people you meet around the world, as well as keeping important addresses from back home. You might want to send them some postcards, right? Speaking of postcards, at the end of this section, there is even a page for you to keep track whom you sent mail to! How cool is that?! The last section is called 'Useful Information' and it contains just that: Unit conversions, and useful phrases in English, Spanish, French, Italian and German. This is indeed a very unique travel journal and very intelligently put together. I really like how it's been designed, from the great Kraft card cover to the scratch maps, the layout of the pages and the choice of topics. It is simply gorgeous! Now if only I had tons of money to travel all over the world so I could start using it! Kraft notebook refills for your Traveler's Notebook! Yes, you read that right! Finally, there are Kraft paper refills available at the 21Kittens etsy store. It took me a while to find the right paper to be able to make these, I have been wanting one for myself for a while now. Even if you don't own a Midori Traveler's Notebook yet, you can still use this little fella, as it is, after all, a notebook. It is not bulky, it is not heavy, so you can carry it with you in your bag. Now you can't say you don't know what to use it for. And if you need even more ideas, just use your imagination (or ask me:) ). Of course, before even starting to fold the pages, I had to test the quality of the paper. As you can see in the picture above, I tried a few fountain pens, some gel pens, a pencil, two ballpens, and even a watercolour brush (Akashi-ya Sai). On the next page I tried some normal watercolours applied with a waterbrush. Of course, this paper wasn't meant to take wet media, but still the effects were nice, although I wouldn't recommend trying very wet washes on it; the effect won't be as expected and the paper would buckle tremendously. Nevertheless, the result was good: none of the pens and brushes I tried feathered nor bled through to the back. My only concern would be for the 2B pencil. Being the paper rather smooth, the graphite might smudge too much if a softer lead is used, but then again it is a matter of choice, one might want this. Personally, I love how the blue ink from my Lamy Vista looks against that lovely Kraft brown, so I think the next refill I use in my Midori, will be one of these Kraft refills. I write this in my blog notebook on Sunday/Monday night; the clock marks 01:37 a.m. I failed posting something last Friday as I had a slight case of 'hangover-itis'. But that is no excuse. When I redesigned this blog, I set out to write three times a week, no matter what. I was going to be organised and disciplined and get the post drafted by hand a few days in advance. Being at home, I do have the time to do this and even prepare the pictures that will go on each post. I suppose Xmas Holidays is what happened. Seeing I would be away back home, everyone else busy with their lives, there was no point in writing about planners and notebooks. It was time to make the most of being with my friends, enjoying the beautiful weather and tasty cuisine. I've been back for two weeks now and I'm still struggling to get back on track, not only with blogging, but also with updating my planner. No, it is not the common 'planner fail' case this time. It is just me, either being lazy, either forgetting about it. Yes, next (this)week is looking empty on my planner, except for the moveable 'rent' sticker and a weekly appointment I pencilled in a while back. And it's not that I'm totally free all week! I'm already meeting somebody tomorrow, a friend is back from his trip, and I have to do a few trips to the post office, not to mention other stuff I have to do. Then why can't I shake off this lazyness and just write all those appointments down? I suppose unconsciously, I want there to be other plans for me to write down. Plans like buying one-way tickets back home and starting new jobs and happier, warmer lives away from all this winter land. Are you also as excited as me to be starting a new year? For me, this has always been a special occasion, as I see it as another chance to right my wrongs (and wrong my rights), to try new things, to come up with renewed purpose, but mostly to give myself another chance. Of course, one of my favourite things is that it also means the start of a new planner/diary. But as you already know, I won't be cracking open a brand new planner for I am already using an 18 month planner that will (should) last me all the way til December 2013. Nevertheless I am happy to see my page spread read January 2013. That alone is enough to give my planner an air of novelty. Another thing I also enjoy setting up during the first days of January is a Master List with tasks to be done some time in the course of the year. For a couple of years I kept my Master List separate from my planner, mainly because I know I will check my sidekick notebook more often than my planner. So today being the first Monday of the year, I set it up and put it in my Midori, between my notebook and my blog notebook. That way I will have quick and easy access to it. On a previous occasion I noticed my list wasn't working due to a very small detail: I didn't like how it looked, with all items written in the same black ink and an ugly green title. This, together with the fact that it would end up hidden by the other pages, caused me to stop going back to it, so I ended up not doing the items I had listed. I think it was after that failure that I stopped keeping a Master List last year. But this year it's gonna be different! This year I will check it daily and get all those things done, as well as add new ones. I feel that this year keeping a Master List is going to help me greatly to stay motivated and disciplined to tick one by one all those small tasks that make up the pavement to my goals and dreams for 2013. So, the holidays are upon us, and with it, the promise of a new, better year. I just want to wish all of you the best for 2013, with the hope that the human race will improve itself and stop all the hate, envy, selfishness and greed. Please spread the love, and not only during the holiday season, but also throughout the year, and the next. In previous entries, I mentioned that the plastic cover was one of the features I liked the most about my Mark's Planner. I thought today I should show it to you in more detail. the planner is made up of a clear plastic cover, a paper sleeve (in lime green) and the book itself. This is the correct orientation of the cover. The zip pocket is the front cover, and the penloop on the back cover. But because I'd rather have the pocket on the back, I've simply turned it around. Now the penloop sits on the front, but low, so I've had to make it tighter by wrapping some washi tape around it. Considering that the sleeve is what decorates this planner, I have thought of designing another sleeve to use with it, IF I grow tired of this colour. But I don't think that will happen anytime soon, as I am currently in love with that lime green. And this is the planner book. I remember how when I was using a Filofax, I would have it very full, keeping so many papers, cards, whatevers in the pockets. It would come to a point that it did weigh to carry it in my bag. Yet I just couldn't let go of all those bits of paper. Ever since I switched, I feel I have been liberated from the need to carry so much crap inside it, which is also why this planner is more streamlined. I still do carry some papers inside the pockets, but I try to keep it at a minimum. And if there is some important data I need, I write it down on the notes pages at the back, and then throw away the paper. Those of you who carry a bound planner, did you also go through something similar? Do you carry anything imaginable in your planner, or do you try to keep it at a minimum? It's Wednesday today, which means that today's topic is 21Kittens, my brand of handmade notebooks. I started this project about 3 years ago when I decided to learn how to bind notebooks using the coptic stitch for an Xmas present. Little did I know I would find it so enjoyable and become hooked! I then went on to make notebooks for friends and family using not only the coptic stitch, but also long stitch and Japanese binding. But as life would have it, once I moved to London and started working, I found it rather difficult to make time for my project, let alone have any energy left to pursue my hobby! Most of the work that I have done so far have been custom orders. I enjoy making them because of the challenge, not to mention the fun. Once a person tells me they want a specific book, ideas start popping into my head immediately. What sort of material to use, which sort of binding should it have, how the cover should look, etc. But that can also be a trap. I tend to spend too much time thinking, and not doing. This is normally due to the fact that I can't always find the type of paper I have in mind. For instance, a friend of mine has requested a dream journal. He's given me carte blanche on it, so I can decide size, pages, design, etc. The thing is, I already got the idea of how it should be as soon as he spoke the words 'Dream Journal'. The problem is finding the paper I have in mind, hence why I haven't started it yet. I am hoping I will come to a decision soon, as I want him to have it before the year's end. Anyway, that was me rambling on again. I just wanted to give you guys an introduction to 21Kittens and let you know that it will be featured each Wednesday. So yeah, I will post pictures and write an update here about the Dream Journal once it's done. Ah, and before I forget, you can read older posts on my previous 21Kittens blog.